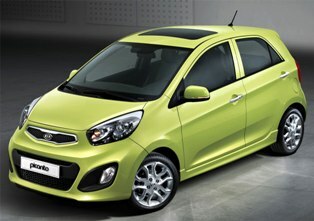 Do you remember the Kia Picanto? Of course you do, because even if you don’t, then you would surely know the rebadged version known as the Naza Suria which is typically the same model. The Picanto of course was an award winning car and was once one of the most demanded compact car when it was first launched here. And then, other car makers brought in their own compact car models and the demand for the Picanto began to reduce. These days, with almost all car makers having their own compact models around, it is sometimes hard to spot a Picanto but with the upcoming new model coming out, that all might change. Kia released the pictures of their new and re-designed 2012 Picanto and is supposedly the ‘grown up’ version of its predecessor as it is supposedly bolder and ‘more mature’ now. The new Picanto is set to be displayed at the upcoming Geneva Motor Show scheduled for March where they have put in a new front fascia and nicer looking tail lights. 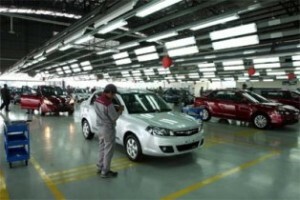 Being the new model, it is bigger and longer than the outgoing model where it is also given an upgrade on its wheelbase. Kia is set to continue their trend of using their new design language on the Picanto and perhaps win awards along the way (the current version did actually win the European Car of the Year once). Not much is being said at the moment, but Kia revealed that there will be 4 new powertrains under the hood powered up by its 1.0 and 1.2 liter engines. Be excited, be very excited.